Cleaning technology is a further component of the overall range of Becker products. The standard machines in this area primarily include surface cleaning machines for cleaning panel materials during production. They are used for cleaning the surfaces and edges and, depending on requirements, use either cross or circular brushes. 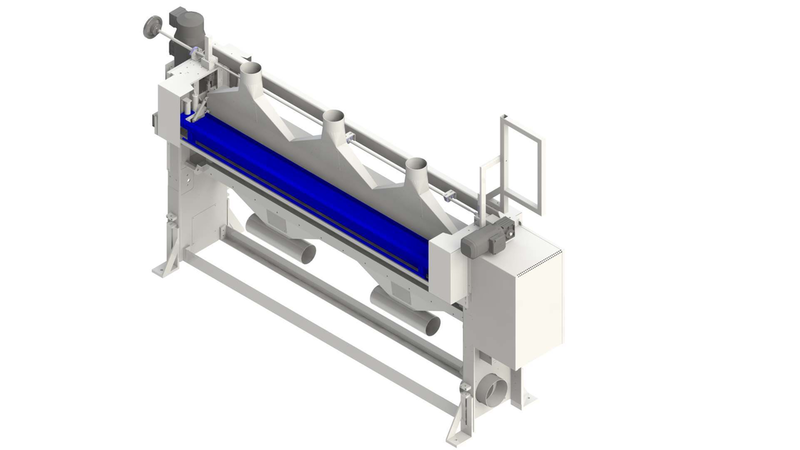 Thanks to its modular design, the surface cleaning machine can be easily adapted to meet customer requirements through the selection of brush materials, the option of integrating additional cleaning units such as air nozzles and ionisation devices as well as the extension of the brushes with a runout table or a folding table. The compact construction and the simple electronic interface make it possible to integrate the machine into complete machine lines. In addition to the surface cleaning machines, the Becker range of products also includes thelock casing cleaner for door panels.